Lookout Books became a vital part of the MFA experience for me, owed to Emily Smith's enthusiasm and guiding hand. I’m standing on sure footing after the publishing experiences I’ve had here. While most graduate students in UNCW's program are writing with the aim of commercial publication, and the knowledge they gain in the Pub Lab will no doubt help them in that regard, we hope that participation in publishing arts courses and internships will broaden and inform their understanding of books and communication in general. 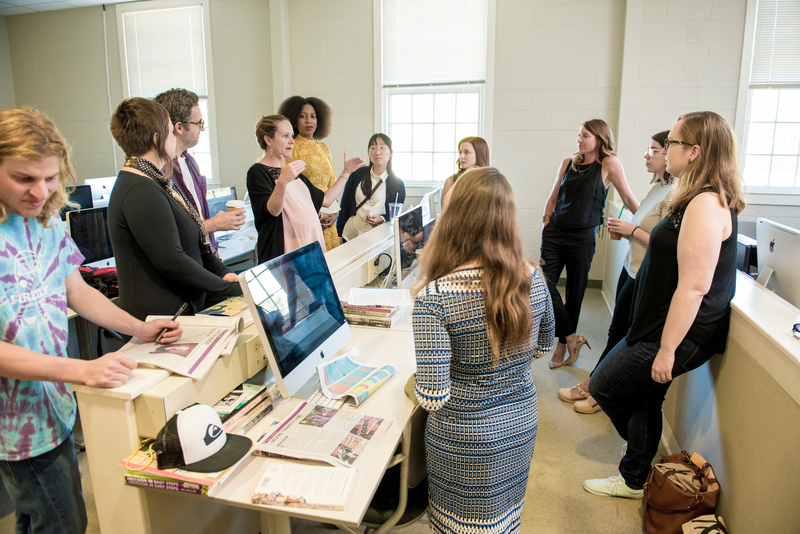 For graduate students hoping to pursue careers in publishing, including management of literary publications and promotion of writers' events, the Pub Lab provides an excellent training ground. Students completing any of the following publishing courses are eligible for assistantship opportunities in the Department of Creative Writing and elsewhere; Lookout Books interns (chosen each semester by application) gain valuable editorial, design, marketing, and business management skills as well.